Garage Repair & Garage Installation in Georgia. The Garage Door Company Near You. The Garage Door Company With Less "Overhead"
Unlike some garage door companies we could name, we don't have 20 trucks on the road (i.e. jaw dropping overhead). We're the little guys who treat you right. 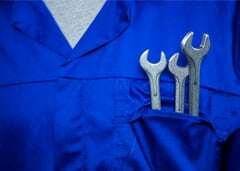 Garage Door Repairs Near Me! It's so frustrating to hit your garage door opener only to hear grinding noises. When your vehicles are trapped or your garage door is wide open, we'll make things right again with the best garage door repairs. We try hard to work around your schedule, so you don't have to spend time waiting on us. We'll be there quickly, work quickly and get you back to your life. Our Garage Door Guys Get It! While garage doors are not brain surgery, we have to be able to speak the same language. We have a great track record of getting things just right. We'll help you pick the right door for your decor and budget.. When Your Garage Door Acts Up, Bring in the Experts! #1 Garage Door Repair Near You. Is your garage door stuck? Does your garage door not open anymore? C&C Garage Doors and Openers can help! We’ve proudly served the community’s garage door needs for more than 25 years! We provide prompt, efficient and affordable service when you need it most. We’ll help you take back control of your garage, restoring your garage doors and openers to perfect working order. You should always be able to access your garage, whether for storage or as an alternative entry to your home. When your garage door isn't working, it can really throw your whole family off. C&C Garage Doors and Openers provides a service guarantee. We'll quickly analyze your needs to get your unit operating smoothly, safely and reliably again. 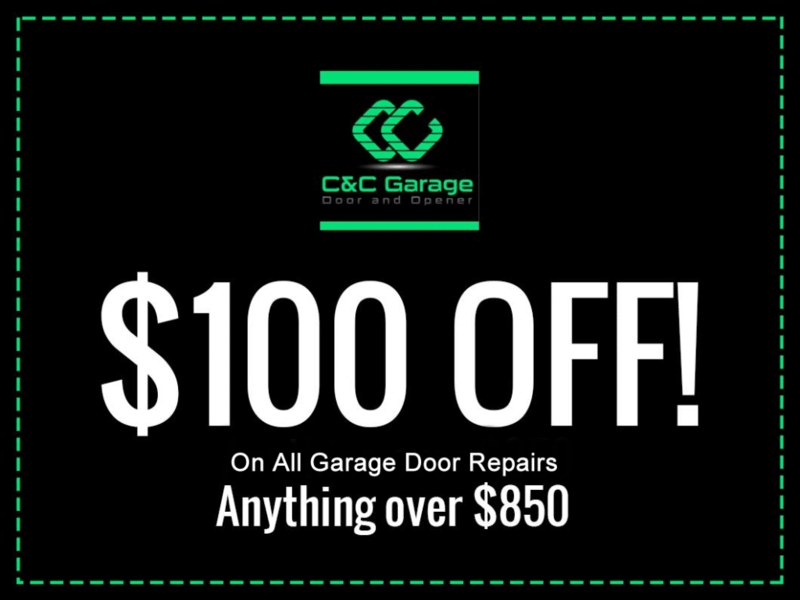 Call to schedule an appointment with C&C Garage Doors today! Headquartered in Jefferson Georgia, we have happy customers all around Gwinnett County, Hall County and more. Our service area includes Gainesville, Flowery Branch, Dacula, Buford, Lawrenceville, Sugar Hill, Suwanee, Duluth and more. 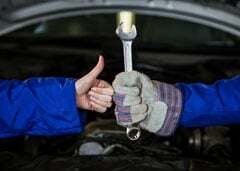 Give us a call and let us prove just how good we are with all your garage repair needs! Gainesville, Flowery Branch, Dacula, Buford, Lawrenceville, Sugar Hill, Suwanee, Duluth and more. Give us a call and let us prove just how good we are with all your garage installation needs! Flowery Branch, Dacula, Buford, Lawrenceville, Sugar Hill, Suwanee, Duluth and more. Give us a call and let us prove just how good we are with all your garage installation needs! Dacula, Buford, Lawrenceville, Sugar Hill, Suwanee, Duluth and more. Give us a call and let us prove just how good we are with all your garage installation needs! 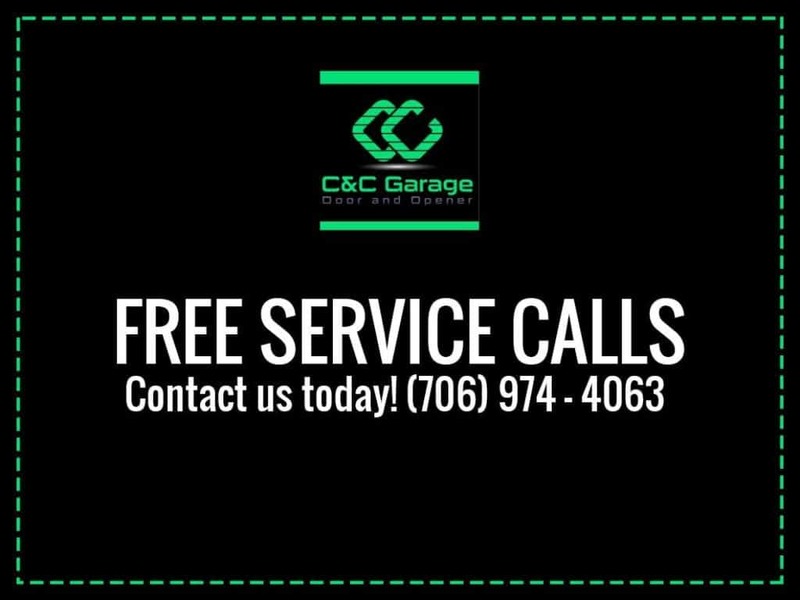 Give us a call and let us prove just how professional we are with all your garage installation needs! The best thing to do when your garage door is broken is to call in the technicians for pro garage repair. 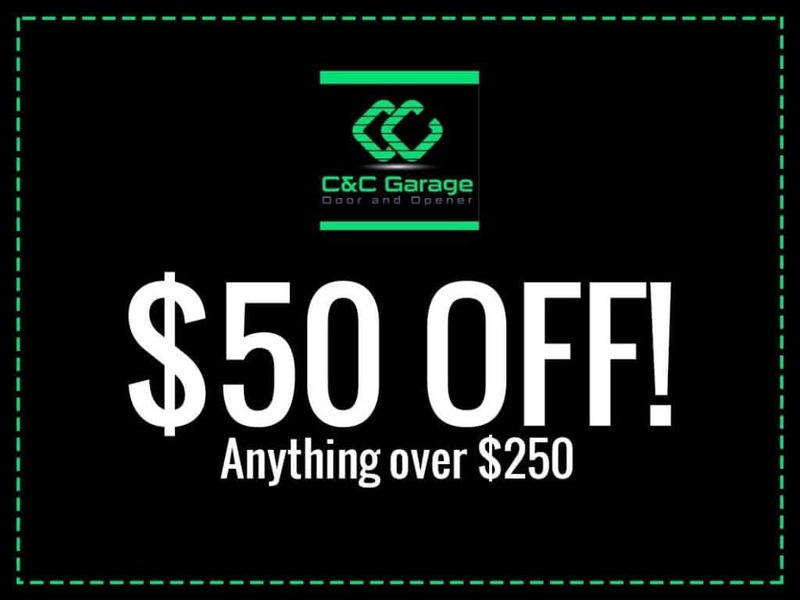 C&C Garage Door Company offers same day services and some of the best garage door installation systems in the state of Georgia. Our garage repair services can make a difference when it comes door safety and quick garage door repair! Commercial garage doors or residential garage doors, we are able to offer a free estimate and 24 hour safety inspection that will be serviced at your convenience. In the garage space, you may find that storage solutions can help make organizing process easy. Make some room for workbenches, gardening equipment, containers, baskets, tool storage and so much more. You can fit practically anything in a garage! You can even make shelving space that will stack to the ceiling. Having a garage is one of the best features in your home or business facility. It allows for quick and easy access to storage, transportation and a comfortable living. Getting a garage door that is right for your house is why we are here. We offer the best door designs and door manufacturers installations on the market. To repair a garage door, we will need to inspect many of the functions that many garage door openers have. We inspect the garage insulation, garage door cables, extension springs, broken springs, rollers, torsion springs, automatic door electrical outlets, door replacement damages, drive belt, keypads, garage handles, garage switches, garage console, garage troubleshooting, garage door panels, garage door frames, and many other door parts that apply to your specific automatic garage door system! Fixing your garage can be a tedious task and we are the best in the industry to specialize a timely repair and door accessories installation. Our professional craftsmanship and assured customer satisfaction will make it an easy choice offering the valued servicing of C&C Garage Doors. Nothing better than the feeling and security of a new garage door! "Chris was very professional and did great work. He installed two new doors and garage door openers. They work flawlessly! He did excellent work as promised. He even corrected a problem that we had with other doors. They had been installed incorrectly. Chris was honest and forth right. He didn't try to sell us anything that we didn't need. I highly recommend C & C Garage Doors." We're your local garage door company working hard to become like the big guys. We figure we'll do this by providing awesome customer service and outstanding work. To be the best garage door company around. For us to get there, we will help our customers decide what they need (vs what we need) and treat everyone with the golden rule. This means we make each garage door repair like we live there. Contact The Garage Door Company In Athens and Atlanta Georgia! Make your Lawrenceville Georgia garage door installation or garage door repair easy. 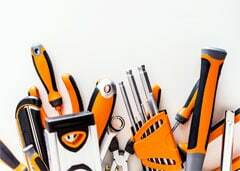 Simply call in an expert garage repair man with the experience and efficient skills to complete any garage door repair or garage installation quickly and affordably. Broken torsion springs, bent doors, or a broken belt drive garage door opener can be a hassle, our company has the best garage door fix in Georgia.